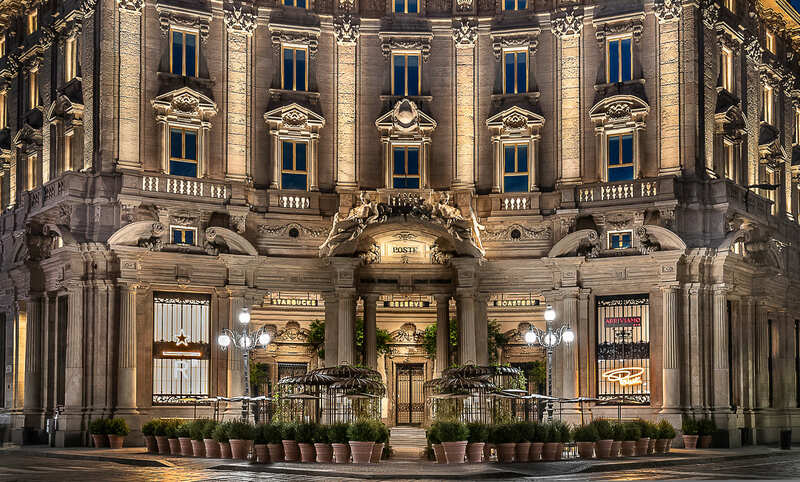 Starbucks’ arrival in Italy is hugely symbolic for its brand narrative. The company’s former CEO and current Chairman Emeritus, Howard Schultz, was famously inspired to import Italy’s coffeehouse traditions to the US after visiting Milan in 1983. The US coffee shop giant said in a press statement that the Milan Roastery ‘reinforced the company’s investment in its premium brand as part of its overall growth strategy.’ It also confirmed regular Starbucks coffee shops would rolled be rolled out across Italy later this year. It has taken 20 years for Starbucks enter the Italian coffee shop market since opening its European debut in the UK in 1998. The chain’s arrival in the country is anticipated to generate a significant shift in market dynamics among the nation’s branded coffee shops. Allegra research shows Italy’s two largest coffee chains, value-focused McCafé and traditional brand, La Bottega del Caffé, comprise more than 60% total chain market share. Starbucks Reserve roastery is, however, pivoted toward the premium market, with an espresso costing €1.80 and a cappuccino setting customers back €4.50 – both significantly higher than average prices in the country’s branded coffee shop sector. Premiumisation could be a safe bet for Starbucks among Italian coffee drinkers. Allegra research shows more than 60% of Italian coffee industry leaders surveyed regard coffee quality the most important factor behind coffee shop success. “The price reflects the premium experience we will offer customers,” Starbucks Global President of Retail, John Culver, told reporters. “Once they enter the space our customers will understand exactly what that premium experience is going to be,” he added. Starbucks has indeed carefully curated its arrival in the birthplace of espresso, crediting the Milan store as ‘a celebration of everything Starbucks has learned about coffee in its 47-year history.’ The global coffee shop chain has been keen to emphasise how their new roastery honours Italian coffee culture, design and craft through a range of features including traditional marble counter tops and an Italian-made Scolari roaster. Starbucks is prudent to tread mindfully in the Italian market, where the arrival of large international foodservice brands has proved controversial in the past. In 1986, McDonald’s sparked controversy when it opened a restaurant at the foot of the Spanish Steps in Rome. The fast food chain’s presence at one of Italy’s most revered historic sites catalysed the development of the global ‘Slow Food’ movement, which advocates the preservation of traditional cooking methods and locally-sourced ingredients. In 2016 McDonald’s launched a $20m lawsuit against the city of Florence after it was refused permission to open a restaurant at the historic Piazza del Duomo. Milan is the third Starbucks Reserve Roastery in the world after their Seattle roastery, which opened in 2014 and their Shanghai site, which followed in 2017. 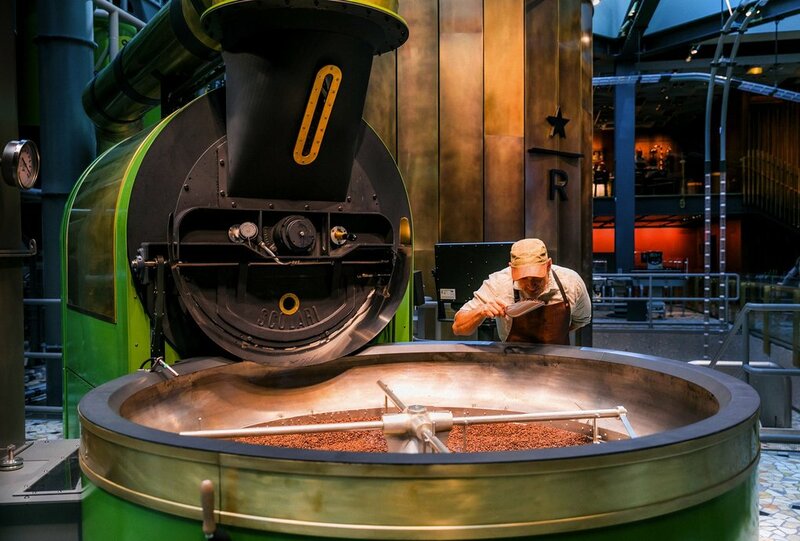 Starbucks is scheduled to open its fourth Reserve Roastery in New York’s Meat Packing district later in 2018. For more information visit the World Coffee Portal.